A classic style designed for the hardworking kitchen, this stylish double bowl fits into any decor. The BLANCO Diamond dual deck is ideal for both drop-in and undercount installations. 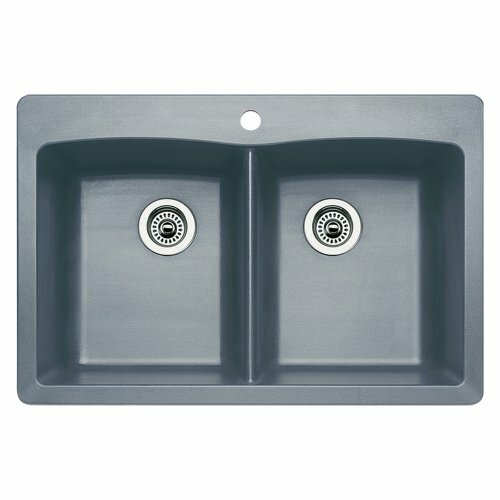 Required outside cabinet is 33"
Frigidaire Undermount Stainless Steel Kitchen Sink, 10mm Radius Corners, 16 Gauge, Deep Basin, 32"
Daonanba Basin River Stone Oval Bathroom Sink Basin Stable Fashion Vessel Sink 11.8"